My latest Vinyl Anachronist column for Perfect Sound Forever is now live at http://www.furious.com/perfect/vinyl113.html. This one is about some of the cheap plastic turntables newbies are buying, and which affordable 'tables they should be checking out instead. Enjoy! 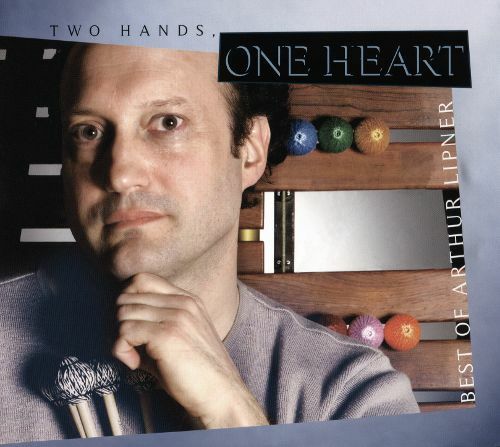 If you love vibraphones, marimbas and other malleted instruments, check out my review of Arthur Lipner's Two Hands, One Heart on Positive Feedback Online. You can read it here. The latest installment of my cigar column, The Smoking Jacket, is now online at Part-Time Audiophile. 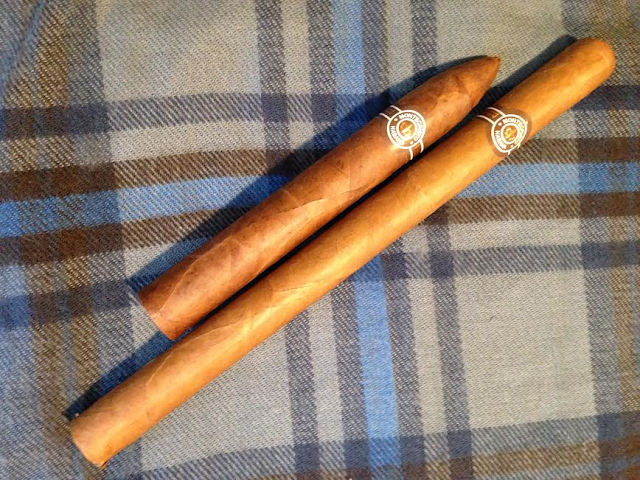 This one discusses counterfeit Cuban cigars, and my recent adventures in smoking them since their availability has changed in the US. I have to make one comment. Since I wrote this article about a week ago, I've had additional conversation with some of the experts and have learned even more about the counterfeit trade. So if you feel like I've missed something in the article, make a comment. I'll reply! It's an unusual name for an album, succinct and majestic and brimming with power. It also reminds me of reading The Guinness Book of World Records when I was young, and giggling at the fact that Ed and Uz, two places in Kentucky, had the shortest names of any cities in the US. Ur is one of those places, surely. No, it isn't anything this light or whimsical. "Ur is time. Past meets future, young forces are given the chance to carry time forward." So says the liner notes of the latest recording from 2L Recordings in Norway. Ur translates to a great many things in Norwegian--time, origin and even wilderness. 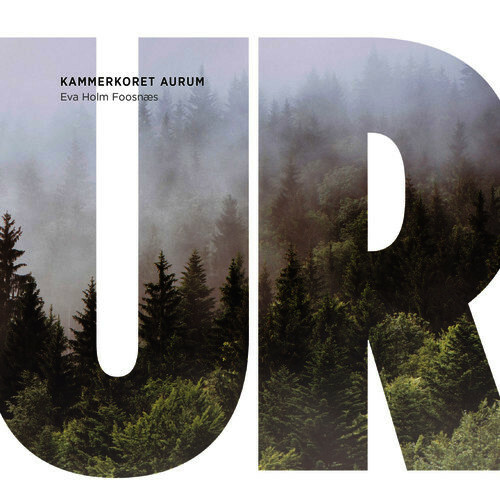 This gorgeous album is a collection of works commissioned by the musical community in Trondheim and performed by Kammerkoret Aurum, a chamber choir consisting of 24 singers. Young composers such as Eva Holm Foosnaes (who also conducts the choir and is pictured below), Odd Johan Overoye, Martin Eikeset Koren and Geir Dohlie Gjerdsjo were given minimal guidelines for their compositions, resulting in eight works that explore the many facets of Ur--from psychology and interpersonal relationships to Norwegian folk traditions to the unyielding power of nature on both land and in the sea. As a result, you get very specific pieces with very specific themes and visuals that can be embraced by the listener. The haunting Three songs to the forest by Foosnaes, for example, describes Norway's close bond to nature through passages titled "Wild bird," "Songs of the forest" and "People of the forest." Overoye's Steinbiten has a similar theme transferred to the ocean to represent three very different marine personalities--the wolffish, the monkfish and the Humpback whale. Just when you sense a common theme to Ur, you'll get Gjerdsjo's three-part meditation on dreams, "Lev var draum" or even Koren's "Tre reiskapar" which celebrates three farming tools--the sledgehammer, the saw and the scythe. The final piece, Overoye's Breiflabben, is almost a jolt to the senses. It's a rhythmic folk tune with a distinct song structure unlike anything else on the album. With its slow and powerful percussion (Eirik Lauvas on the hand drum), it evokes the same surprising and accessible sounds achieved by last year's Spes, a 2L Recording that introduces the listener to Sami folk music. I'm tempted to learn Norwegian just so I can sing along--luckily the lyrics to the entire album are included in the booklet. While these themes of time, origin and nature are fleshed out with grace and precision, it's also easy to lose yourself in the sheer beauty of these songs. 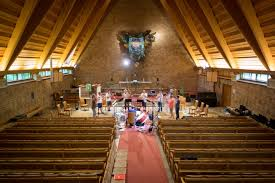 As with most 2L releases, this one has been recorded in a spacious Norwegian church--this time it's the Hoeggen Church. In other words, you'll be able to pick out individual singers and follow them through the songs, or you can submerge yourself in an ethereal, floating mass of sound. Ur, in short, is so hypnotic that it passes by in an instant like a dream. 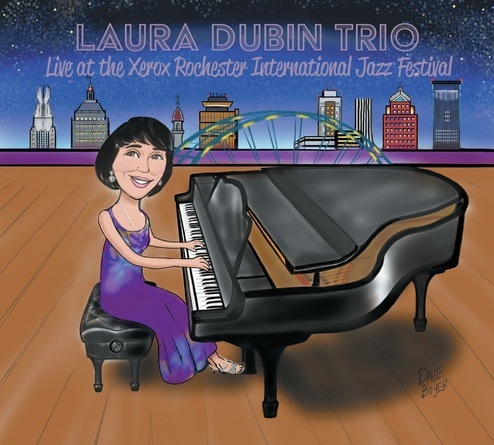 Live at the Xerox Rochester International Jazz Festival may not roll off the tongue like Sunday at the Village Vanguard or A Night at Birdland, but to pianist Laura Dubin it's a very special venue. As a young Rochester girl, the festival influenced her love for jazz. As the liner notes of this double CD set explain, she traveled the world, honed her craft, and returned home to deliver "a triumphant performance that brings down the house." That sounds like a rather corny story made up by publicists, but when you listen to these two discs all the way through it definitely sounds like that's what happened. Joined by Kieran Hanlon on bass and Antonio H. Guerrero on drums, Dubin produces an exciting and dynamic set that's best served by cliches such as tour de force or electric. Yeah, I wrote those words, and I own 'em. I feel like I'm being unfair to the XRIJF as well. It's a big deal, with close to 200,000 people attending every year. This particular performance is from July 2016, where the festival's performers included Erykah Badu, Gregg Allman, Chick Corea and Bruce Hornsby. And while the crowd watching this trio sounds relatively small, despite being in the Xerox Auditorium, they are notably enthusiastic and appreciative of the hometown girl who's done good. 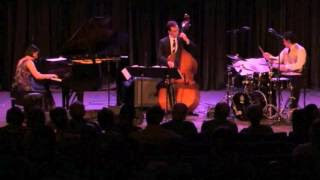 What makes this particular live jazz recording special is a rousing combination of a great recording (drummer Guerrero serves as producer and recording engineer) and a lively and accessible performance by the trio. I suppose this latter part is due to the song selection--Dubin excels at bringing new life out of the old standards through thoughtful juxtapositions of both her original songs and even a few classical pieces such as Beethoven's Sonata No. 8 "Pathetique" and Mozart's "Rondo alla Turca." 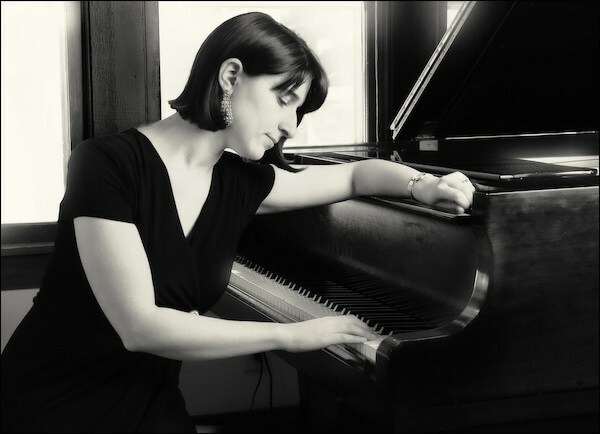 In other spots, she blends themes from perfect bedfellows such as Debussy and Gershwin, or Ravel and Rogers & Hammerstein. These fantasias are so fluid and played with such energy that the songs might be over before you make the most obvious connections. If I had to pick one thing that I love about this recording, though, it would have to something very obvious--Dubin's performance. She fully embraces those sweeping and melodic soundscapes of Bill Evans, but then she'll tap the brakes and become playful like Bill Melendez. She's always switching it up for the grateful audience, playing pure and dependable ragtime one minute and, well, the Minute Waltz the next. Overall, this is a clear-eyed and straightforward jazz performance that isn't rewriting history but celebrating it with a huge smile. Dubin thanks her audience every few songs, and you can hear a deep complement of palpable emotions in those two simple words--gratitude, modesty and excitement. And yes, she really does bring down the house. I'm hanging out at my Syracuse dealer's store, and some guy who looked suspiciously like singer-songwriter Stephen Douglas Wolfe walks in with a bunch of music from Stephen Douglas Wolfe and says, "thank you for reviewing that 7" single from Stephen Douglas Wolfe." He was with another guy who looked suspiciously like Ulf Oesterle from Aux Records. They handed me the collected works of Stephen Douglas Wolfe--which you can order from his website. If you visit the website, like I did just thirty seconds ago, you'll see Stephen Douglas Wolfe on the home page, walking around in Armory Square in Syracuse, right past the store where I'm now sitting. Wait, just now I looked out the window and Stephen Douglas Wolfe just walked by again! He is everywhere! On a day where I actually received a lot of new music to review, this was just too cool to ignore. 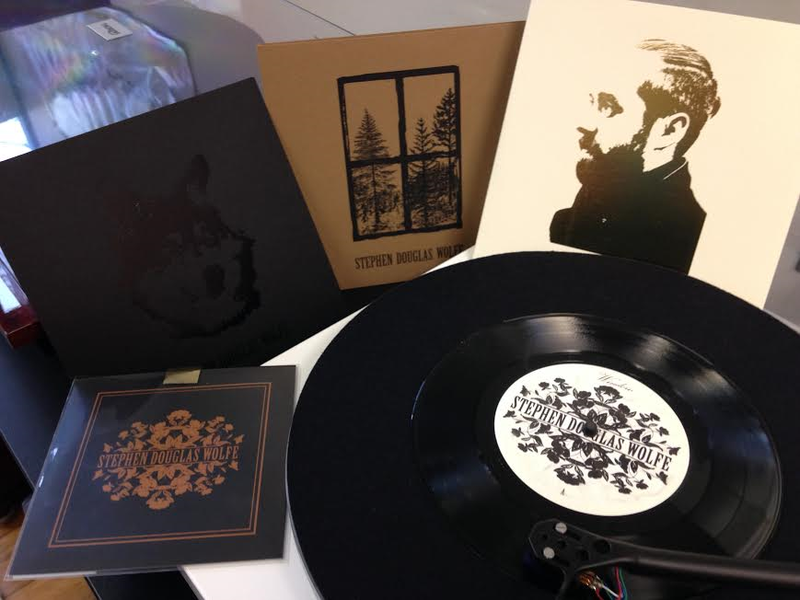 I really like Stephen's 7" single "We'll Live"--and I'm looking forward to the rest of these discs. Thanks Stephen and Ulf for dropping by! It's not unusual to say that the performance of a particular jazz ensemble might be greater than the sum of its parts, even though jazz is a musical genre that is often defined by the strengths of its solos. 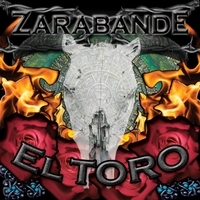 But with Zarabande's new CD, El Toro, familiar motifs and arrangements start to break off and meld together in strange and haunting ways. I think it's because of the unusual mix of instruments in this San Antonio-based ensemble--marimba, vibraphone, piano, bass and plenty of percussion. This may not seem unusual considering that Zarabande specializes in Latin Jazz--the opening track, "Ogun," is very grounded to malleted Caribbean rhythms. But as this adventurous quintet works its way through these nine original tracks, those familiar themes seem to melt away and fuse into something that's playful and sinister in nearly equal portions. Alfred Flores, known as "El Toro," is a marimba and MalletKat master who spearheaded this project (he also produced this album). While these songs are all composed by vibraphone/percussionist Joe Caploe and pianist Mark Little, El Toro is the guiding force exploring the "tandem mallet" approach favored by such legends as Cal Tjader, David Freidman and Dave Samuels. 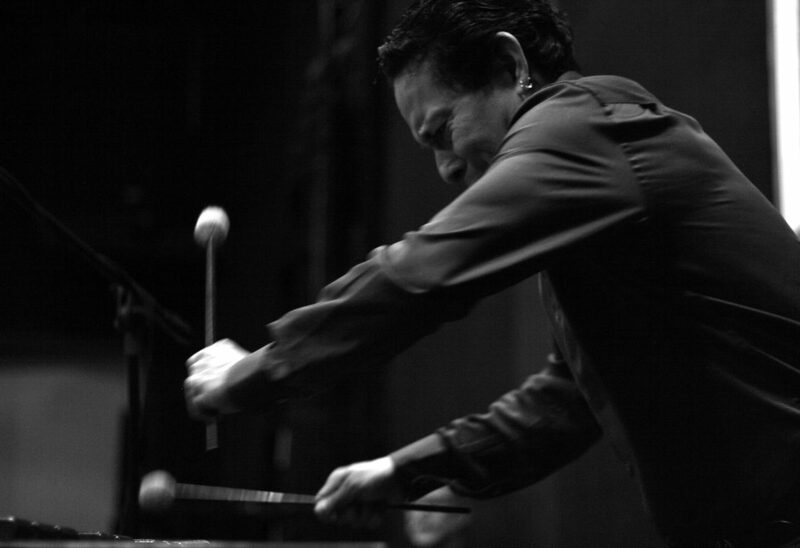 With a skilled rhythm section consisting of bassist Pete Ojeda and drummer Dean Macomber, Zarabande becomes a whirlwind of sticks, mallets and cymbals. So when the motifs drift into what might be called light jazz, the unusual instrumentation steers the mood away from the lighthearted into something darker and edgier. That's fortunate; a casual listening session can be dismissive, since this can sound like the sort of music you expect to hear on a cruise ship. It's fun, it's lively and you can imagine well-dressed elderly people dancing to it. And then a feeling starts to creep in. Maybe it's the MalletKat, a programmable MIDI "mallet controller" that can sound just like a marimba, a steel drum, or something in between. It's a crystal clear and seems to float ominously above the stage. By the enthusiastic fifth track, "Judah Memphis," you start to feel like the party has left the cruise ship and has moved into a mysterious port and you're about to have a very memorable evening--for better or worse. You might hear a funky bass line that you've definitely heard before, or you might even hear some dreamy '80s style synthesizer that pulls you out of the moment, but you never quite regain your footing. This is a brilliant recording, which is part of the reason why it can be so unsettling at times. Play just one of these tracks, without context, on a light jazz FM station, and it might blend in. Listen to the entire album straight through late at night, and you'll wake up the next morning with these strange melodies in your head, unfettered. My love for Early Music came rather late in life, possibly because I had a college music professor who strongly believed great classical music began (and possibly ended) with Johann Sebastian Bach. Since then, I've dismissed that bias and I've discovered jewel after pre-Baroque musical jewel...Frescobaldi, Brumel and much, much more. In my mind, this music came before all the Western European formalities so there's more freedom to be emotional and to deliver absolute music. Even more importantly, there's that historical window thing I often bring up--it's one thing to marvel at a beautiful jazz recording from the late 1950s, but it's quite another thing to hear a piece of music that's 500 years old and think, a la Sideways, about what people were doing and thinking while it was composed. This latest release from 2L Recordings in Norway delves deeply into the growth of European music in the Late Middle Ages and shows how new ideas were influenced by such factors as the Black Death, the Crusades and the subsequent cultural impact of Islam and how it replaced the long-established traditions of the Roman Empire. 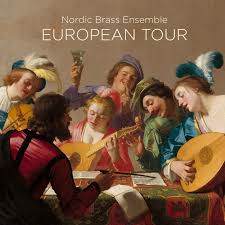 These are heady concepts for a relatively small brass ensemble to tackle, but European Tour is certainly one of those 2L Recordings where 2L comes up with a cerebral theme or connection within the program that's worth exploring. In this particular case, producer Jørn Simenstad worked with the Nordic Brass Ensemble to realize this goal. 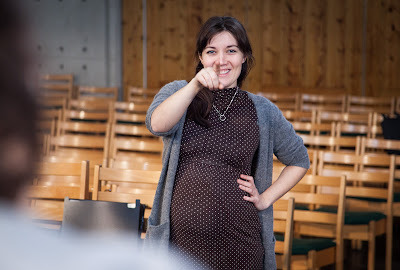 If you're a serious musical scholar, you can run with these ideas. If you're not, you can sit back and indulge yourself with beautiful music that's been recorded by the most skilled and thoughtful people in the music business. To me, a brass ensemble often evokes pomp, majesty and heraldry, and there's certainly plenty of those moments here. But what's surprising is how many of these passages are somber, reflective and even tinged with sorrow. The main idea in European Tour is that European music during the Renaissance was strongly influenced by military marches brought by Janissaries--elite soldiers from the Ottoman Empire. 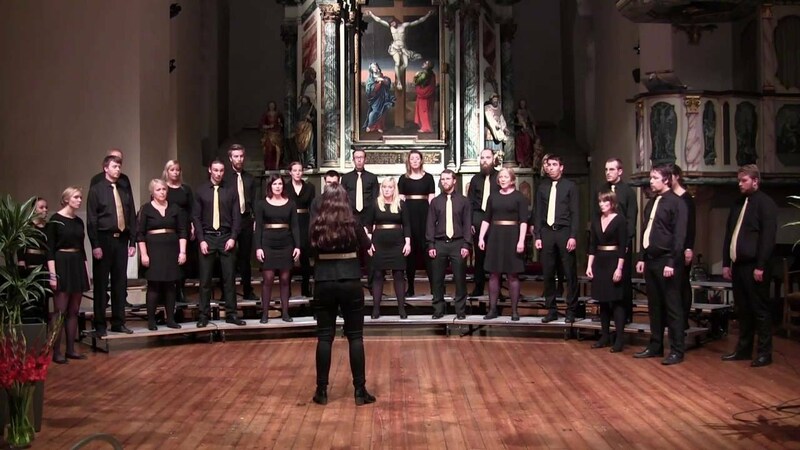 Before the culture clash, European music was focused on religious traditions, and that accounts for the more sacred passages. But these quiet moments are constantly juxtaposed with military drum cadences and a steady one-two beat. Jørn Simenstad and the ensemble then challenge you to think about how this moment in time, where two musical sensibilities collided, transformed history. So if you're one of those aforementioned music scholars, that may inspire you to investigate these pieces and how classical music evolved into an art form that would culminate in such works as The 1812 Overture. However, I lean back toward those "historical windows" and discard the clipboard that contains all my notes and simply think about the fact that composers such as Francisco Correa de Arauxo, Carlo Gesualdo, Claude Le Jeune, Adriano Banchieri and Anthony Holborne lived in a world almost unrecognizable to us today, and they wrote music to accompany what was happening in that world. And here it is, ready for us to listen. The sheer intelligence behind this project may overshadow the fact that the Nordic Brass Ensemble plays these selections so beautifully. With all the sudden emotional shifts that occur during this album, there's a certain understated discipline among these musicians. 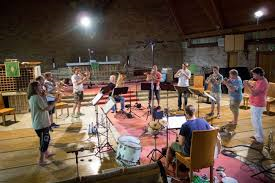 I started off with a discussion of the lack of formality in Early Music compared to the Baroque Era, but there's no doubt that the precision of the Nordic Ensemble and the extraordinary care of their performance preserves the so-called layers of the onion and allows the listener to enjoy this substantial work on whatever level that is desired. Just a couple of weeks ago I was discussing jazz with an audiophile friend of mine, and he made a statement that most great jazz was sloppy, out of control and spontaneous, and that most musicians were flying by the seats of their pants when they came up with their most memorable improvisations. I played the devil's advocate here only because I had just been reading about the modal jazz explored in Kind of Blue. Couple that very precise way of developing melodies with the unusually difficult time signatures of another classic from the era...say, Time Out, and you have a pretty good contrary one-two punch. 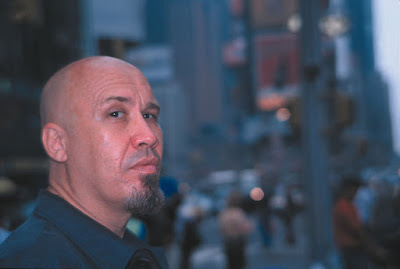 Steve Slagle's new album, Alto Manhattan, brought me back around to my buddy's point of view. I'm not going to call this vibrant, exciting collection of jazz standards "sloppy" so to speak, but it's certainly wild and fuzzy around the edges, more Webster and Pepper than Davis and Brubeck. 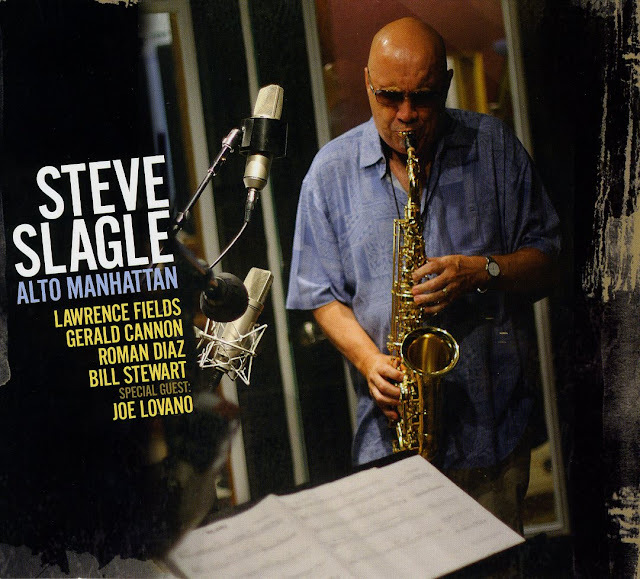 Slagle is an alto saxophonist and flautist who plays with swagger and attitude and sexiness, and he surrounds himself with experienced NYC musicians who are equally dismissive of formalities and just want to play until they're close to passing out. The album's title, of course, refers to the heavily Latino neighborhood where Slagle grew up and learned his chops--also known as "The Heights." This sort of ethnic influence is surprisingly mellow and restrained, however--it's just there enough to be interesting but subtle enough to highlight the fact that this is an album of standards ("Body and Soul," "Guess I'll Hang My Tear Out to Dry" and McCoy Tyner's "Inception") as well as plenty of Slagle originals that show off his big, sultry style. When he's center stage, as when he plays solo through "Body and Soul," he's amazingly disciplined. You won't hear a single displaced note. But Slagle positions himself front in center in a furious storm of percussion (Roman Diaz's congas and Bill Stewart's drums create a dizzy, wild ride in "Family" and "Holiday") and you'll hear this frenzy build as the performers feed off each other. My only reservation is when Slagle switches to flute in the last two tracks, the aforementioned "Holiday" and "Viva La Familia," and Alto Manhattan shifts gears. Slagle's sax is beefy and confrontational, but his flute playing is more reserved. Perhaps it's a personal thing, and perhaps it's better to finish this forceful and energetic album on a more restrained note. Even so, Alto Manhattan impressed me with its breathlessness, its furor. And, of course, the sound quality is superb.